Well, maybe not exactly quick. But I made them in a few hours. 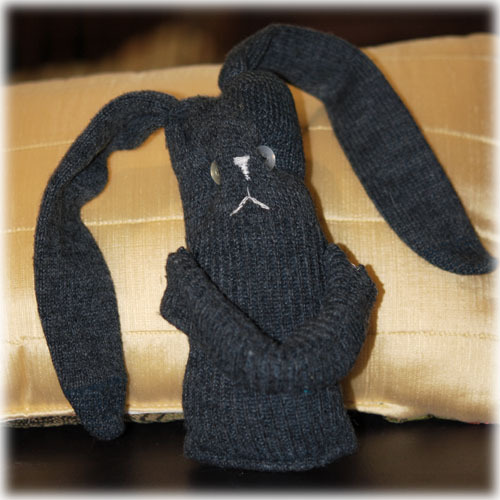 If you still want to make something to put into an Easter Basket, or just want to make something for someone special, you can whip one or more of these up. And I don’t think they are just for Easter. Everyone likes bunnies all the time. I actually made some of these for Easter at least 30 years ago because I have a picture of my youngest as an infant and there is one in the photo. And, here is one that survived all those years, although it’s not one of the Easter Basket Bunnies (those were white). This one was stuffed with Kleenex, of all things. I guess I didn’t have any batting and just wanted to make one that day. I don’t really remember making it. His arms need to be mended but you have to admit, he’s sturdy! I actually changed things a little bit on the updated version, but the idea is the same. I have no idea where the original pattern/idea came from, and I know there are versions all over the place, so this is not very original. But, it’s good fun, easy to adapt to your own creative notions and you can probably make it with things you have right there in your own house. 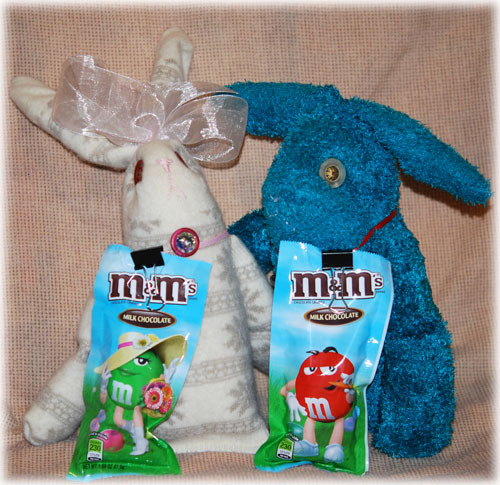 So, if you need a quick basket goodie, give the Sock Bunnies a try. And have a Happy Easter!